Rimowa and Moncler are back at it again with a new collaboration. 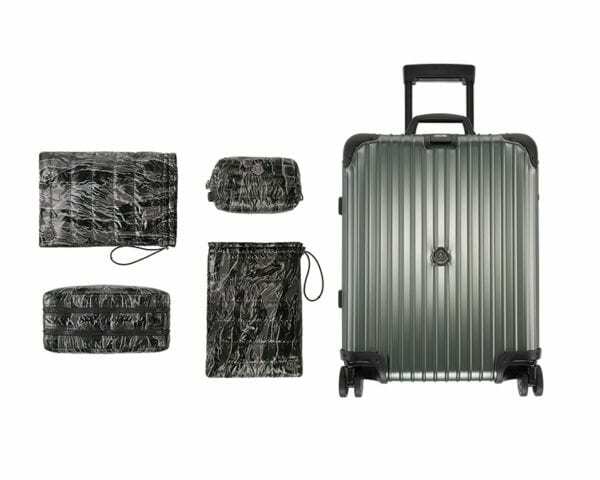 After taking a three-year break, the two brands renew their partnership this year with the Topas Stealth aluminium luggage range. It’s quite exceptional – but what do you expect when Moncler’s creative vision meets Rimowa’s premium quality? The Topas Stealth is incredibly light and flexible, while boasting all-round silence with its Multi-wheel gliding wheel system. The best part lies in its soft, unexpected core, where its interior has been lined with Moncler’s glossy quilting in a sleek camouflage print, developed specifically for this alliance. 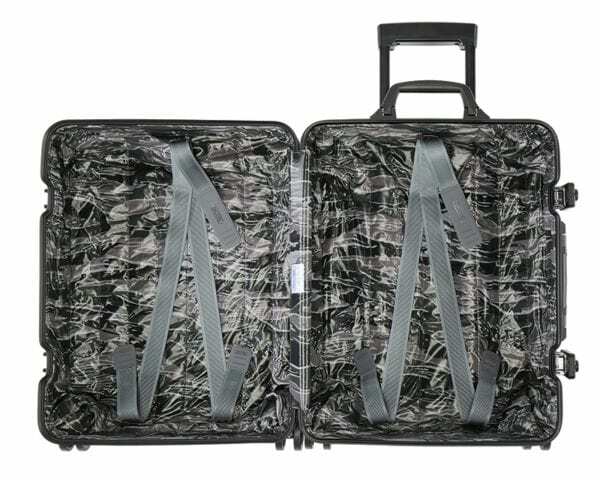 The padded lining also adorns the two footwear bags and two wash bags contained inside the suitcase, allowing for fuss-free storage of all your personal possessions and liquids in airplane cabins. This means that you won’t have to worry about rough man-handling and damaging your belongings anymore. Aesthetically, the Topas Stealth does not disappoint too. The outer shell is painted in a sophisticated grey and cut to be a pure volume, sporting the enamelled Moncler logo and customisable nametag. 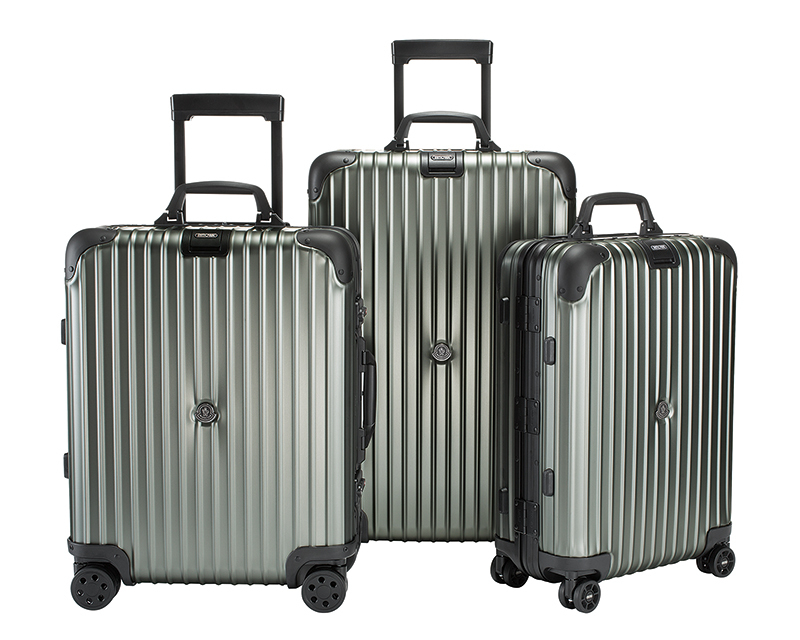 The Moncler & Rimowa Multiwheel Topas Stealth is available in three sizes: Size 52 (32L volume), Size 56 (45L volume) and Size 63 (64L volume). All cases are available online at moncler.com or in selected Moncler and Rimowa boutiques worldwide. When Moncler announced its Moncler Genius project last year, heads were turned and gasps were heard when the Italian Maison sought .. Year-end travelling is always invigorating, to say the least. No matter how plagued you've been with work-related stress or post-r .. Fashion, business, and politics – what are consumers really buying into when we support crossover collaborations? Nobody will dare fault you for being tardy in the area of “airport fashion” when you carry the Fendi X Rimowa suitcase.